Properties in Bay Meadows Golf Center average 4.8 out of 5 stars. Lake George Townhome w/Water View, Patio & Grill! 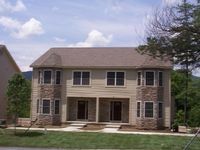 Property 4: Lake George Townhome w/Water View, Patio & Grill! Million dollar view Lake George resort townhouse. Property 10: Million dollar view Lake George resort townhouse. Property 11: Townhome with 5 Bedroom 3.5 Baths. Sleeps upto 14. Property 15: Saratoga Racecourse!! Town house 3 blocks from downtown shops & restaurants! Great place for a Lake George get away. Stayed here with a group friends for a weekend. The house is close to everything and we were able to watch the fireworks from the living room. We will definitely be back.